Mahny Djahanguiri was born in Switzerland to a British mother and Iranian father and spent most of her early years in the Swiss Alps spending as much time as possible with animals. During her holidays in Greece and Italy, she could be found inside sheds or behind car parks trying to feed abandoned cats and dogs. 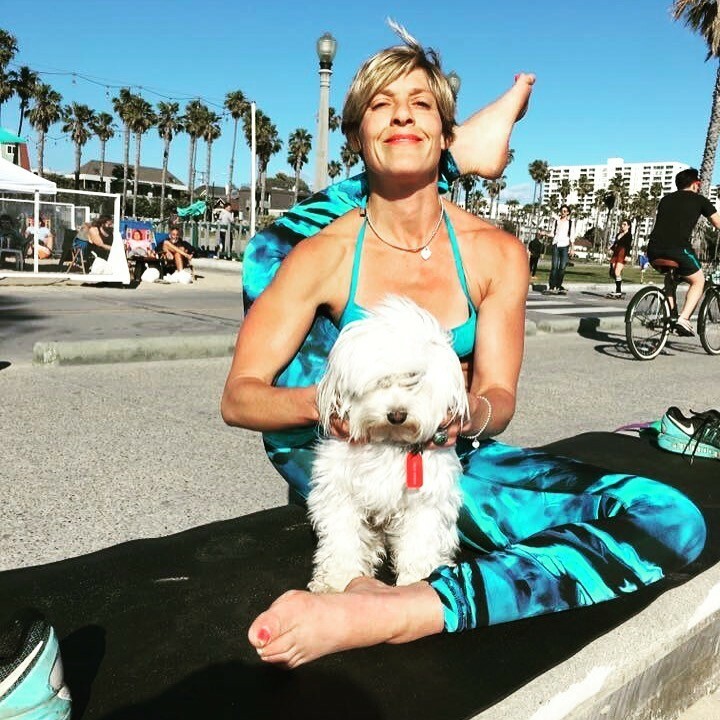 She began yoga in 1999 at the Life Centre in Notting Hill, falling in love with the fluid and energetic Ashtanga Yoga Vinyasa practice, and soon she became an avid student of Shri K. Pathabi Jois. Mahny is a certified Children’s and Adult Yoga teacher and received her teaching diploma through the British Wheel and Yoga Alliance. She has trained with YogabugsTM and ‘The Special Yoga Centre’ as well as obtaining certificates in behaviour management, safeguarding, team culture and child protection through the employment at Kids Company. Robbie, a Maltese terrier, was born on a Slovakian puppy farm in 2012 and bought at four months old by a wealthy Bahranian family from an ad online. Once in London they decided they didn’t want him. Mahny and Robbie’s fates collided in Hyde Park and Mahny adopted the young puppy. 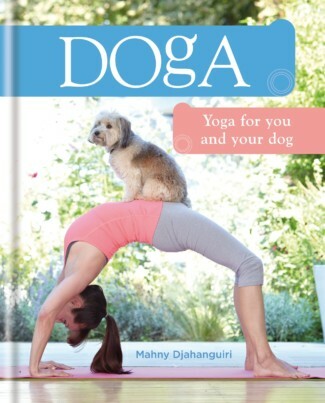 This fortuitous meeting changed both their lives and it is with the tiny white ball of fluff that Mahny practises Doga. This year Mahny and Robbie were an instant hit on BGT.